This elegent cloisonne plate is decorated with traditional Chinese dragon and phoenix symbols. 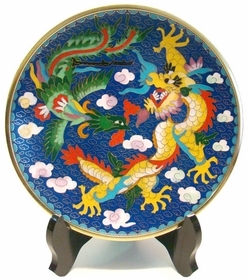 Handmade Chinese cloisonne plate. Wooden stand included.